This is a three face, 50ft high International Standard Artificial Climbing Wall. First face is almost vertical, ideal for beginners. Second face has slight overhang, good for intermediate climbers. Third face has fibre panels with inserts and a good roof section. State Level and National level competitions are frequently organized at the wall. 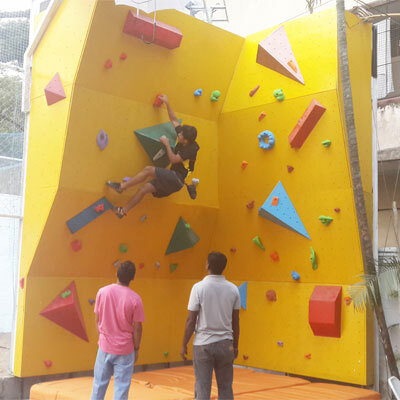 16ft High X 20ft Wide Bouldering Wall with two sides and multiple volumes. 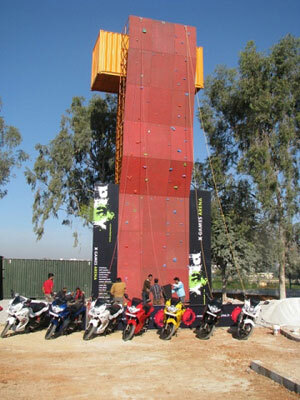 This is a single face, 50ft high International Standard Artificial Climbing Wall. 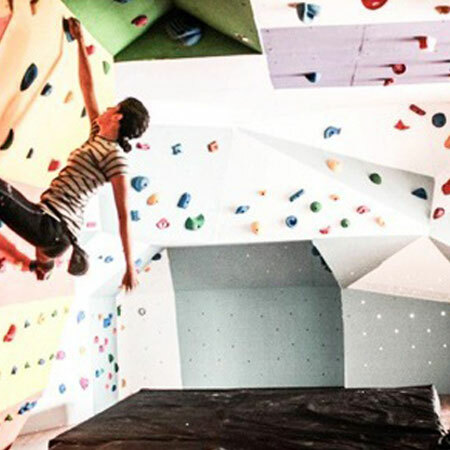 PLAY X GAMES ARENA also boasts of a Bouldering Arena, one of a kind in India. 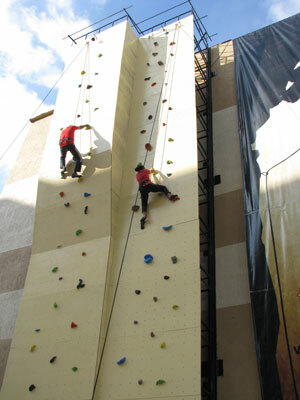 Artificial Climbing Wall is part of Mars Climbing Gym setup at Phoenix Market City, Whitefield, Bangalore. 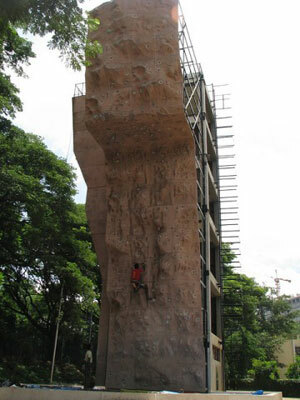 It is the tallest climbing wall in Bangalore, reaching 52ft in height and 15ft in width. It has two different climbing surfaces with different difficulty grades.